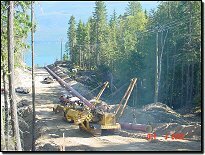 Speers has taken on Penstock contracts involving 36, 42, 48, 54, 60, 84, 96 and 108 inch welded steel, HDPE and Ductile Iron, penstock and connection facilities. 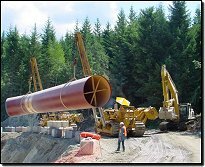 All penstock construction demands a very high level of operational and technical skills. With safety and environmental management a top priority, Speers meets all the demands and delivers on time. 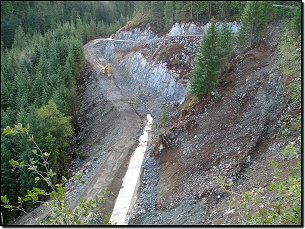 The projects generally include ROW preparation, bedding production, unloading and stringing, welding, testing coating bedding and backfill, restoration and survey. *To view the printable version, Adobe Acrobat Reader is needed.